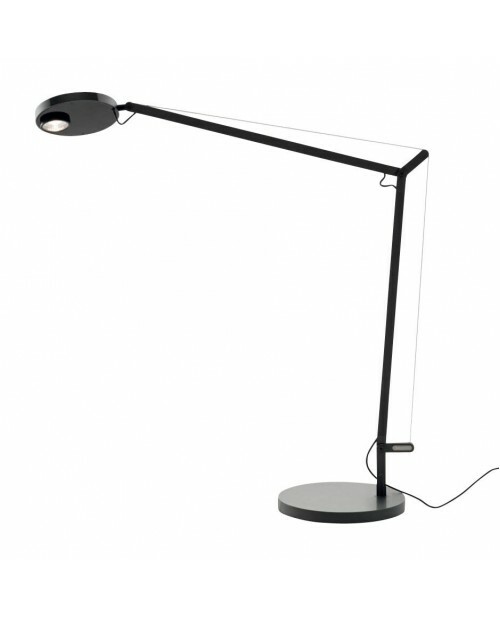 Artemide Tolomeo Mega Terra Black floor lampA true design classic by Artemide. 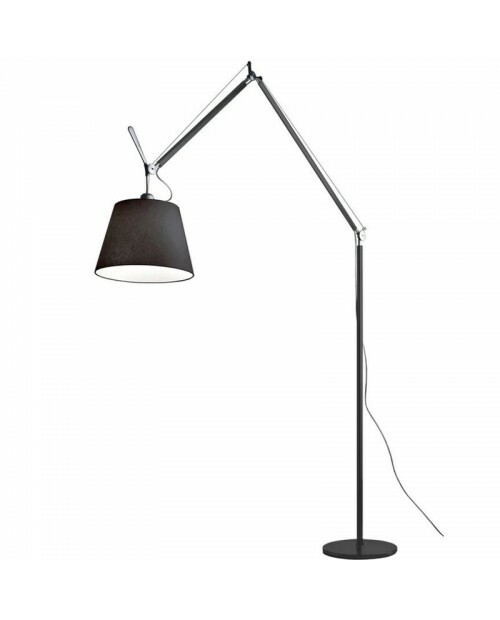 The Tolomeo Mega Terra has a cantilever body making it fully adjustable to vary the spread and intensity of the light projection. 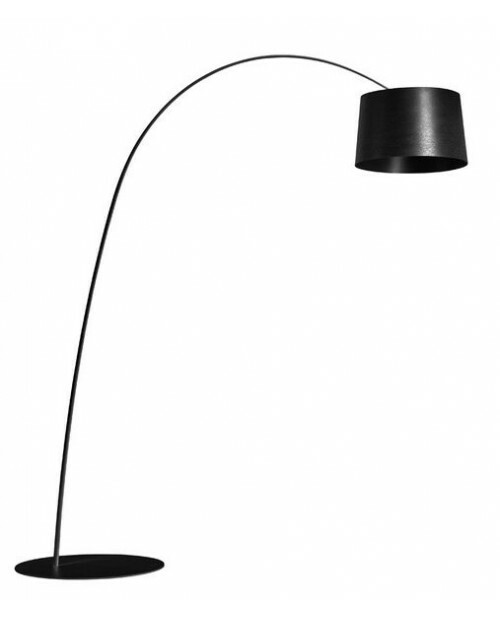 The black shade casts an elegant light creating a stylish atm..
Foscarini Twiggy Floor LampTwiggy is a simple idea, which has become a Foscarini and design icon. 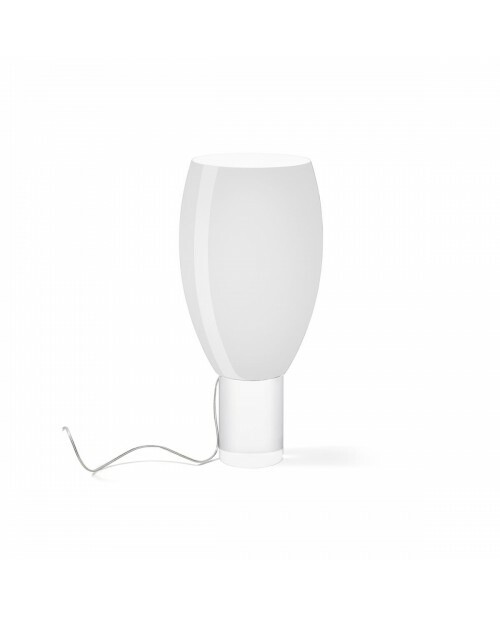 The diffuser casts direct light in the area underneath the lamp. 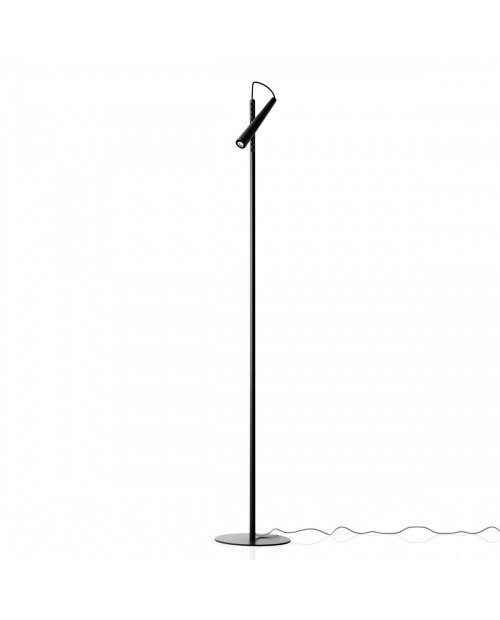 Due to the transparency of the upper protection disk, it diffuses a cosy ambient light.The Twiggy floor lam..
Artemide Tolomeo Mega Terra Floor Lamp Parchment shadeThe Tolomeo Mega Terra is the winner of the Red Dot Design Award. 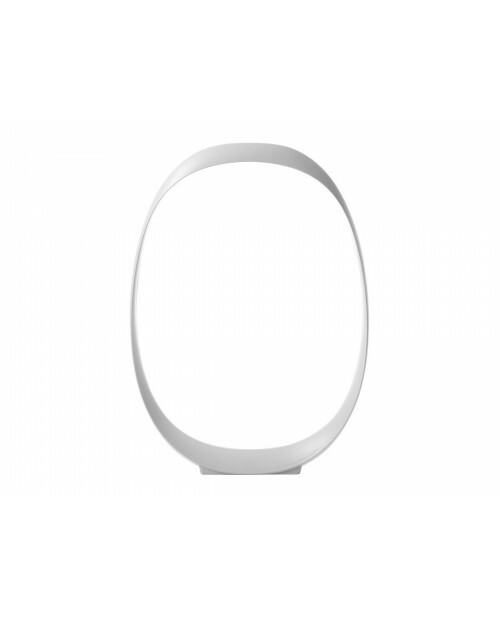 A true design classic by Artemide. 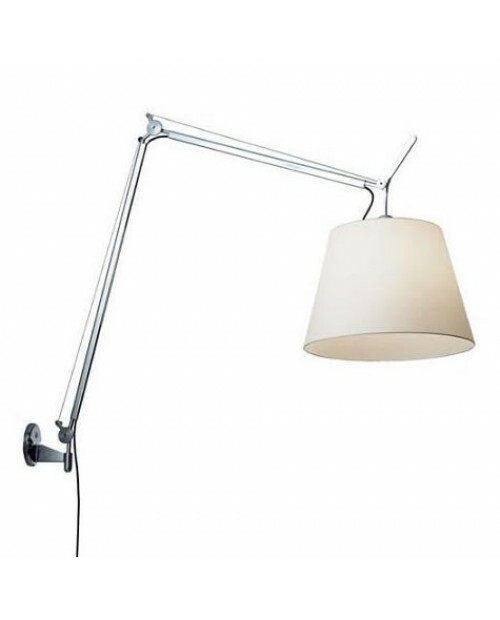 The Tolomeo Mega Terra has a cantilever body making it fully adjustable to vary the spread and intensity of li..
Artemide Tolomeo Basculante Parete Wall Lamp Artemide is an Italian lighting company established in 1960. Artemide's models appear in the collections of some of the world's most prestigious museums of art and design including MoMA and the V&A. 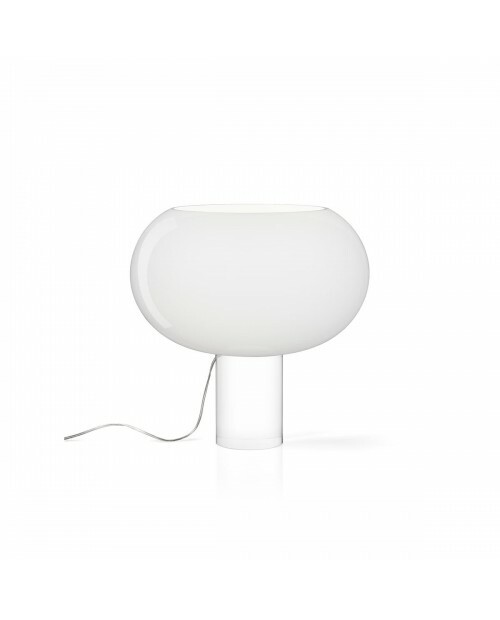 The flexible ar..
Nemo Lampe De Marseille Wall Lamp Mini Mini version of Nemo Lampe De Marseille Wall Lamp Mini. Designed by Le Corbusier for the Unité d’Habitation of Marseille in 1949/1952. Nemo's Lampe Det is an adjustable wall lamp with two joints on the arm and a rotating wa..
Artemide Talo Wall LampThe Artemide Talo wall light emanates direct and indirect light upwards and down, creating a bright yet calming lighting solution for your space.Subtle in appearance yet strikingly slender on closer inspection, the Talo parete wall lamp represents..
Artemide Tolomeo Basculante Tavolo 18cm Parchment Shade Artemide is an Italian lighting company established in 1960. Artemide's models appear in the collections of some of the world's most prestigious museums of art and design including MoMA and the V&A. 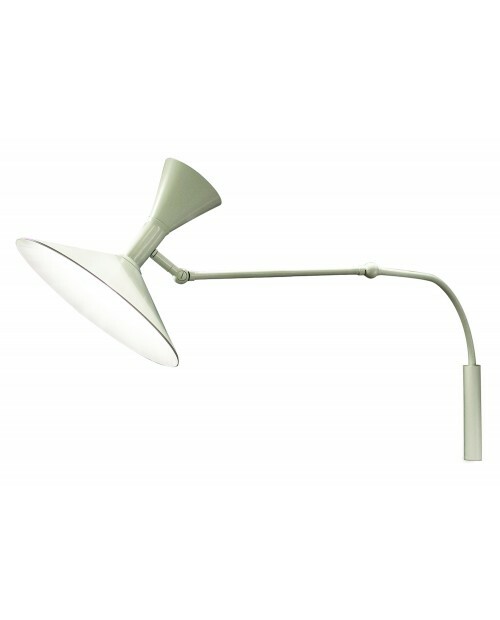 The flex..
Artemide Tolomeo Mini Parete Wall LampThe Artemide Tolomeo Mini Parete wall lamp is of the same stylish and practical design as the other lamps in the award winning Tolomeo range. 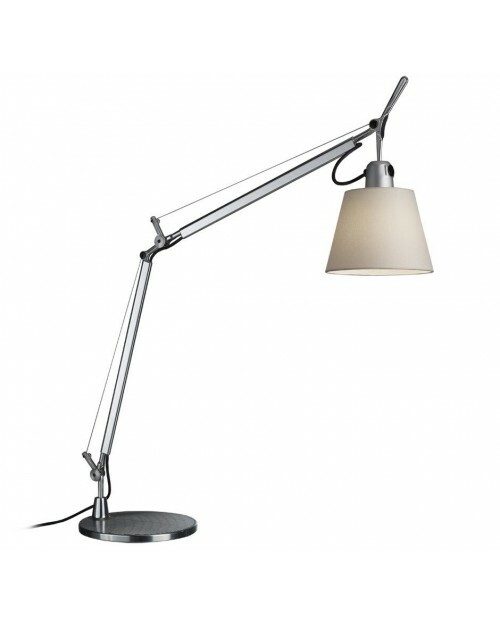 Providing a quality light that makes the Tolomeo Mini Parete suitable for working and read..
Artemide Demetra Desk LampThe Artemide Demetra desk lamp is one of the first iconic LED desk lamps, giving balance between the aesthetic and innovative modern design. The Demetra features adjustable arms with a rotating, pivoting head. 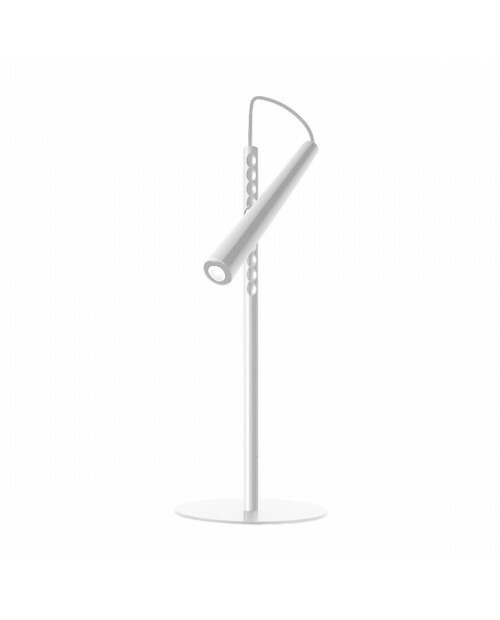 The arms are held by cables along ..
Artemide Mesmeri Wall Lamp The Mesmeri is an award winning wall lamp that provides indirect and diffused light. 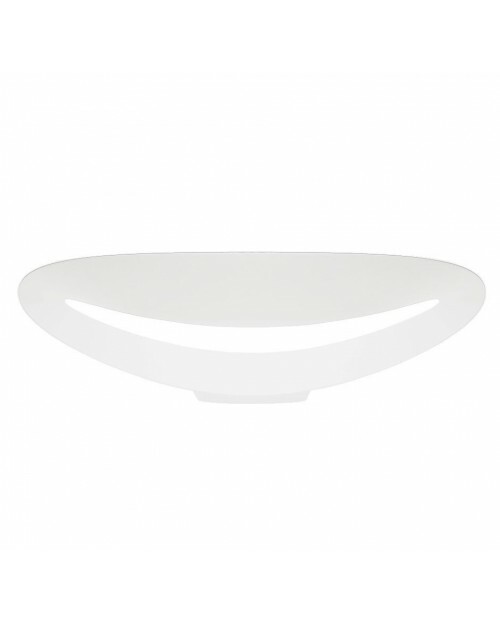 The curved diffuser and support bracket are in die-cast aluminium and is available in white, polished chrome and satinized copper. The lamp is conc..
Foscarini Twiggy Suspension Lamp Foscarini's Twiggy suspension light is an elegant addition to the iconic Twiggy range. 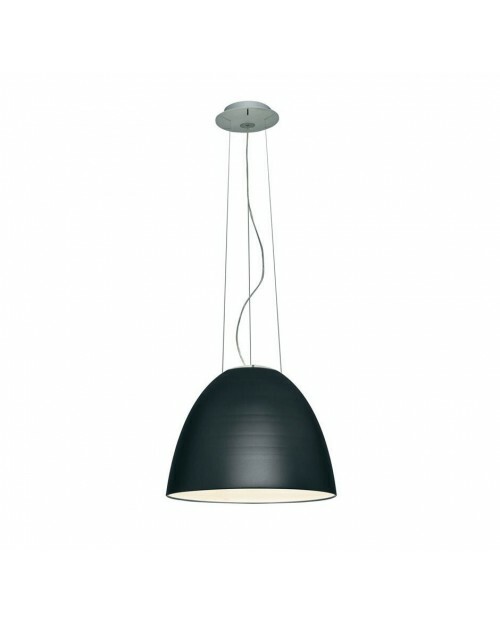 The Twiggy suspension shade is manufactured using a spun composite textured material and is available in Black or White. The Twiggy collection incl..
Foscarini Twiggy XL Table LampFoscarini's Twiggy XL table lamp is an elegant design from the iconic Twiggy range. 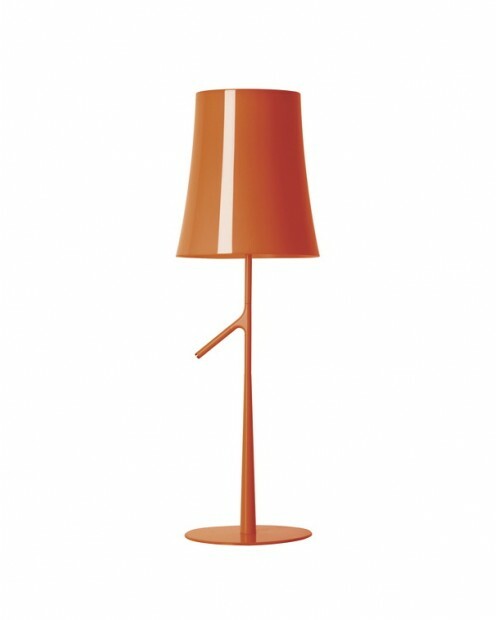 The Twiggy table lamp has a weighted base and stem in lacquered fibre glass. 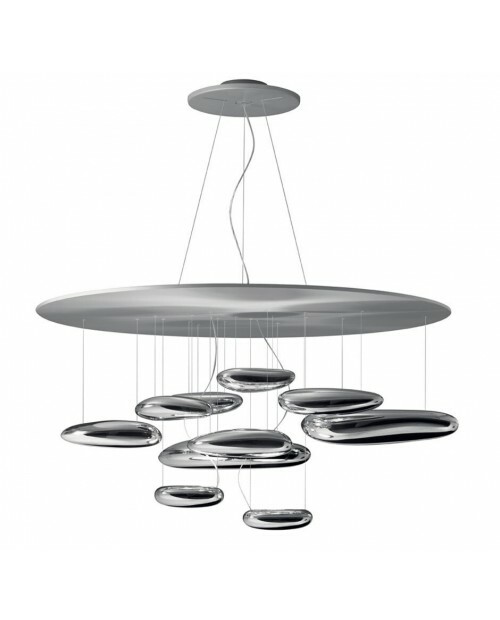 The shade is manufactured using a spun composite textured material and is avail..
Artemide Mercury Suspension Lamp The Artemide Mercury suspension light is made up of a number of pebbles, that seem to be floating underneath a very simple, yet visually striking, aluminium disk. These pebbles reflect each other's light between their surfaces and..
Foscarini Rituals Table LampThe Foscarini Rituals series of lamps are brimming with seductive texture with four complementary shapes, balancing the styles between the east and the west. A family of lamps that sheds its relaxing light like the traditional Japanese lanter..
Foscarini Anisha Table Lamp The organic form and shape of the Anisha Table Lamp creates a beautiful focal point. Unlit, it is sculptural in appearance and transforms when the LED light source is illuminated, filling the void. The Anisha Table Lamp is avai..
Artemide Talo 60, 90, 120, 150 Wall LampThe Artemide Talo wall light emanates direct and indirect light upwards and down, creating a bright yet calming lighting solution for your space.Subtle in appearance yet strikingly slender on closer inspection, the Talo parete wal..
Foscarini Le Soleil Pendant Lamp The Le Soleil Pendant Lamp is made from layers of polycarbonate. Diffuse light is cast upwards through the shade and direct light is projected downwards. The pleasing glow of the light coupled with its architectural shape ..
Nemo Crown Major Pendant LampThe Nemo Crown Major is a pendant chandelier, with a modular structure in die-casted aluminium and sandblasted glass diffusers. Structure comes in hand polished aluminium, glossy gold plated or painted in matt white, matt black or gold. Avai..
Nemo Projecteur 165 Wall / Ceiling Lamp The Projecteur of Le Corbusier was designed in 1954, for the Chandigarh High Court, India. 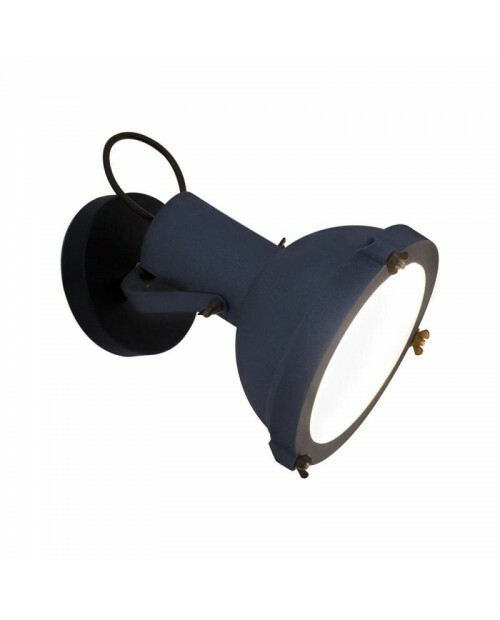 The Nemo Projecteur 165 Wall / Ceiling Lamp has an aluminium body painted in night blue, white sand or moka. 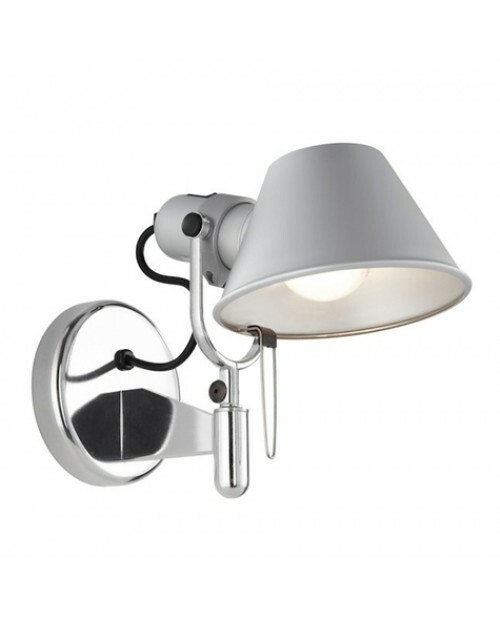 The diffuse..
Artemide Tolomeo Faretto Wall Lamp The Artemide Tolomeo Faretto Lamp Wall Lamp is the smallest of the award winning Tolomeo range. 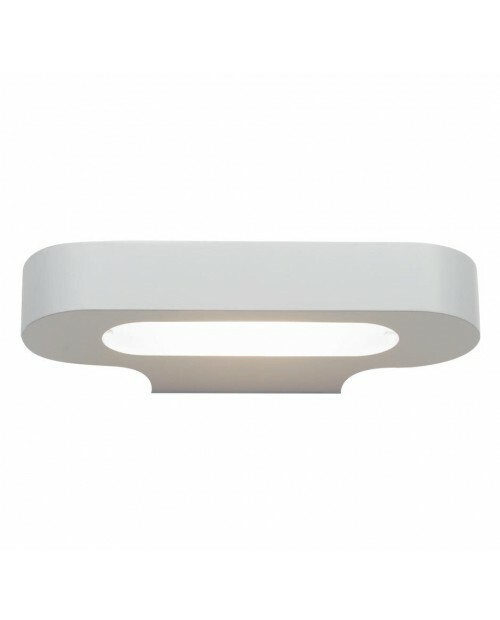 A design classic that creates a comfortable spot light. The Tolomeo Faretto is a versatile wall light with a polished alumi..
Foscarini Gem Table LampThe Gem Lamp has a sculptural hand blown glass shade. 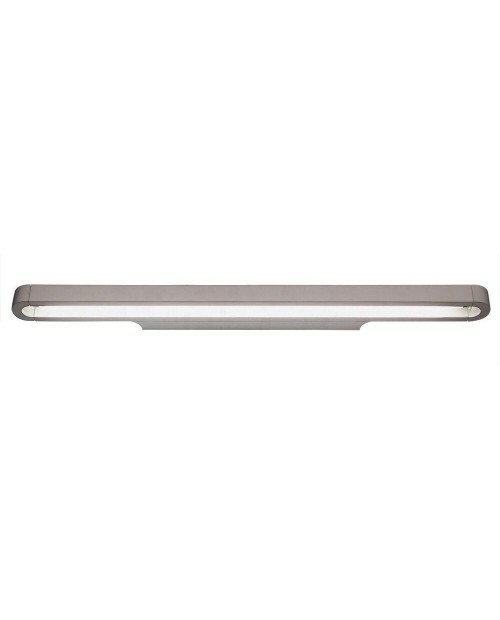 Its tactile finish is evident whether illuminated or not. The acid-etched glass defines the rippled effect of the shade and combined with its gold-plated satin aluminium base, its quality and ..
Foscarini Satellight Table Lamp In the Satellight Table Lamp, Eugeni Quitllet has created a playful and desirable lamp, made from high quality mouth blown glass elements. 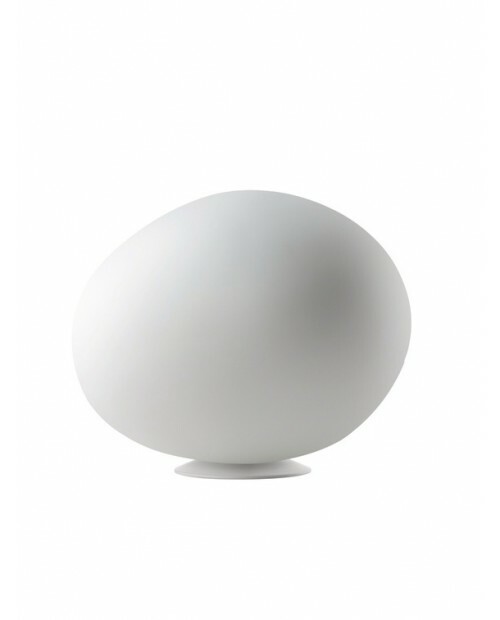 Inspired by the moon and wandering satellites, the glass sphere is suspended..
Foscarini Binic Table Lamp The Foscarini Binic table lamp is a fun light with lots of personality. 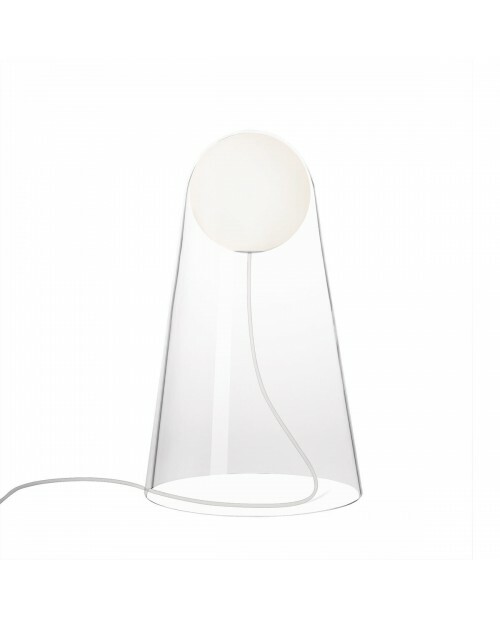 Ideal as a desk, shelf or bedside light. 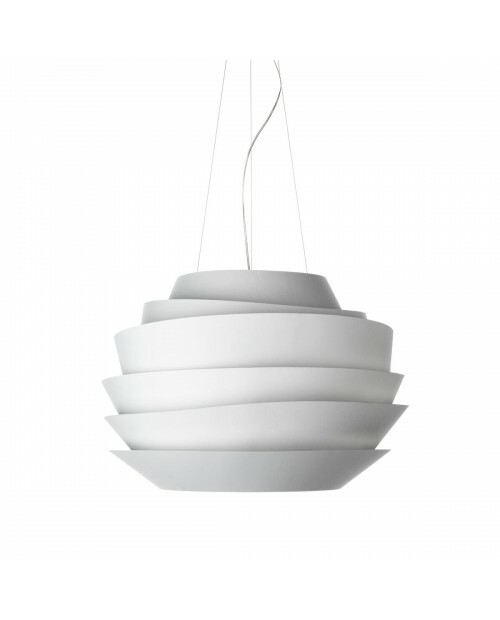 Designed by Ionna Vautrin for Foscarini, available in a range of colours. Binic has its own little personality! 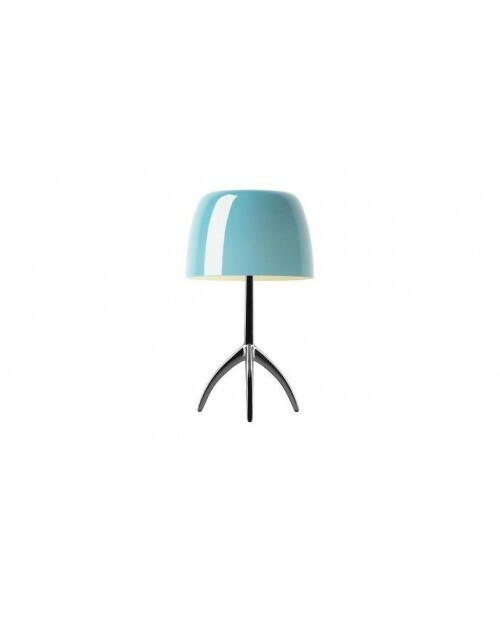 Colours..
Foscarini Birdie Table Lamp The Birdie Lamp is a series of lights designed by Ludovico + Roberto. A reinterpretation of the classic lampshade and lamp, it is available in two sizes and two switch options: switch or touch dimmer. The switch is playfull..
Foscarini Gregg Table Lamp The Gregg Lamp has an organic, elegant and familiar shape that does not use pure geometry as its point of reference. Available in four different sizes to suit all settings, its tactile, acid etched glass casts a soft warm glow. L..
Foscarini Linear Multiple CanopyThe multiple ceiling canopy makes it possible to create compositions of up to 9 suspension lamps to create cascades of light in a highly emotive fashion. The multiple canopy is designed to suit a large number of suspension lights from the..
Foscarini Lumiere Piccola Table Lamp The unmistakable aluminium tripod of the Lumiere Lamp is complimented by its blown glass shade. Having recently celebrated its 25th birthday, it is considered a design classic. 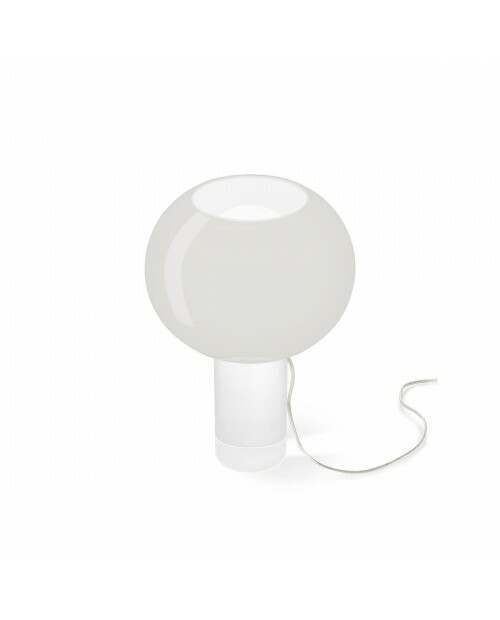 Within the series, the Lumiere lamp is available in a..
Foscarini Magneto Desk LampThe Magneto consists of a spherical magnet which holds a support rod with a round base and a compact LED light source. The magnet provides the utmost versatility with the ability to angle and move the light source along the stem.Colours: White..
Foscarini Spokes 1 Pendant Lamp Inspired by antique oriental lanterns and aviaries, the Spokes Pendant Lamp series is striking. Solid yet lightweight, light projects through the steel spokes to create playful patterns onto the wall and ceiling. Availa..
Foscarini Spokes 2 Pendant Lamp Inspired by antique oriental lanterns and aviaries, the Spokes Pendant Lamp series is striking. Solid yet lightweight, light projects through the steel spokes to create playful patterns onto the wall and ceiling. 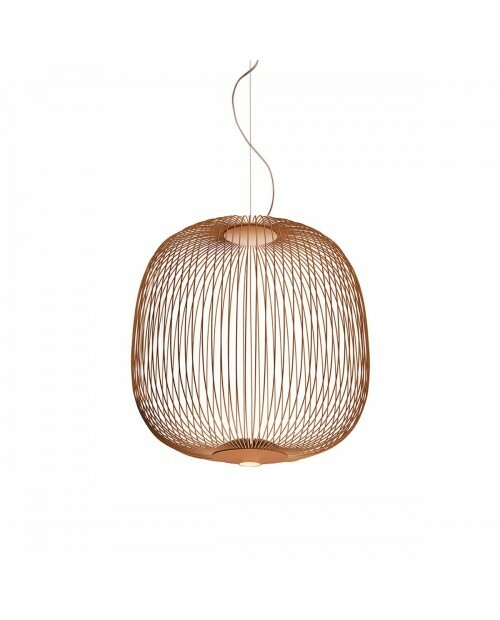 Av..
Foscarini Tress Pendant Lamp The unique construction of the Tress Lamp consists of a web of threads and resin. 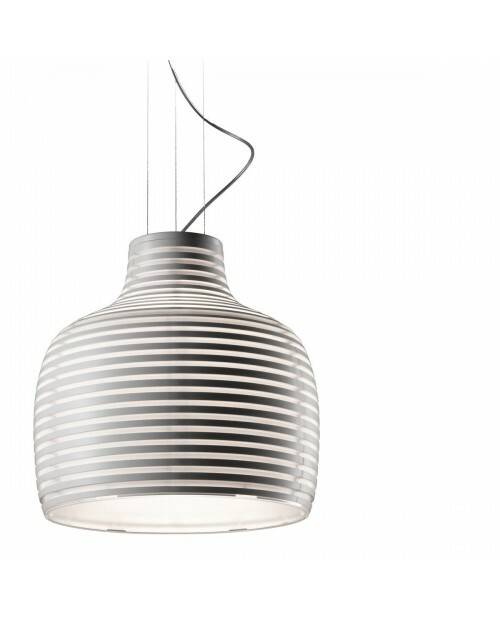 Cable is woven within the lamp and the overall effect is a striking. The light emitted creates patterns on the walls and ceilings, m..
Foscarini Twiggy Lettura Floor LampFoscarini's Twiggy Lettura floor light is an elegant standard floor lamp from the iconic Twiggy range. 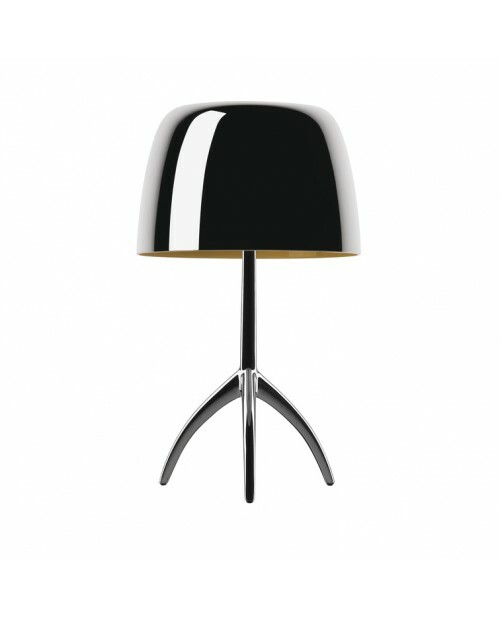 The Twiggy Lettura has a weighted base and stem in lacquered fibre glass. 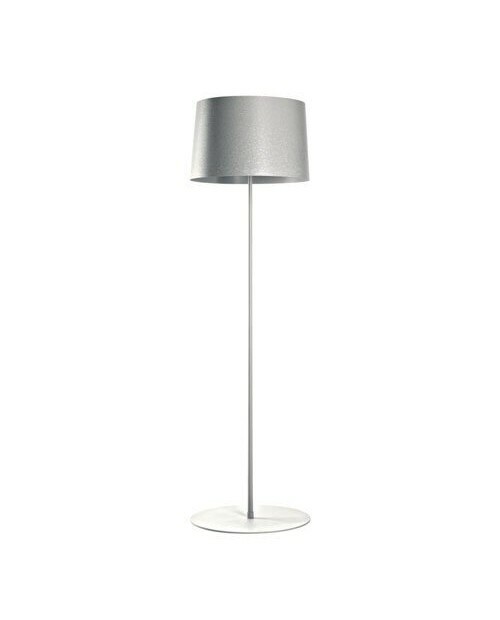 The shade is manufactured using a spun composite textured ..
Foscarini Buds 2 Table Lamp The Buds 2 Table Lamp is part of a collection of lamps designed by Rodolfo Dordoni. Its mouth blown glass diffuser emits a warm glow and direct light is cast from the opening on the top of the shade. Its soft, round shape is emphas..
Foscarini Buds 3 Table Lamp The Buds 3 Table Lamp is part of a collection of lamps designed by Rodolfo Dordoni. Its mouth blown glass diffuser emits a warm glow and direct light is cast from the opening on the top of the shade. 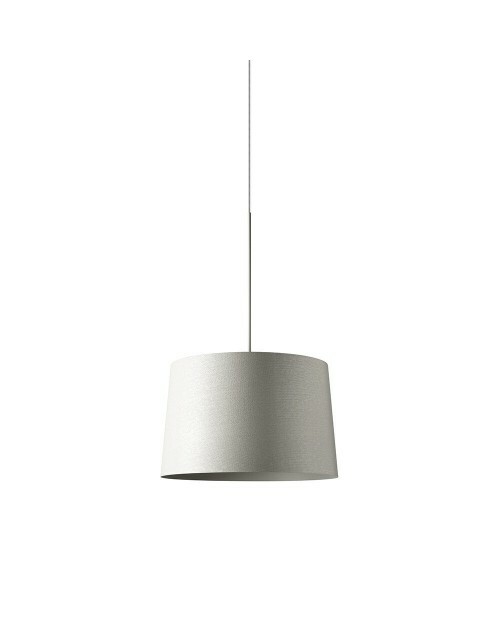 Its soft, round shape is em..
Nemo Crown Minor Pendant Lamp The Nemo Crown Minor is a pendant chandelier, with a modular structure in die-casted aluminium and sandblasted glass diffusers. 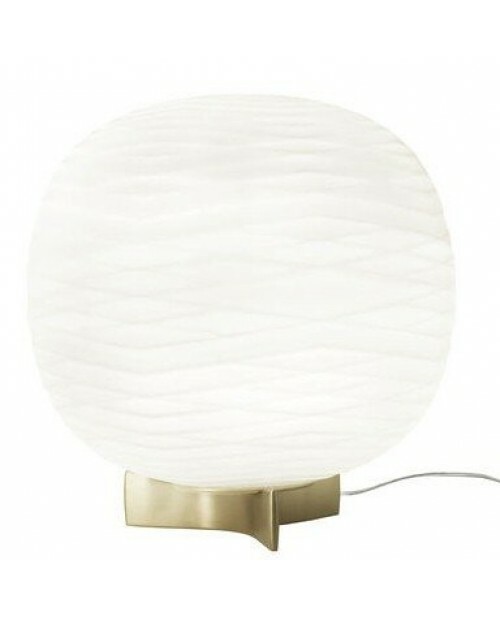 Structure comes in hand polished aluminium, glossy gold plated or painted in matt white, matt bla..
Artemide Nur Mini Suspension Lamp The Artemide Nur Mini suspension lamp is a classic yet stylish and contemporary design. 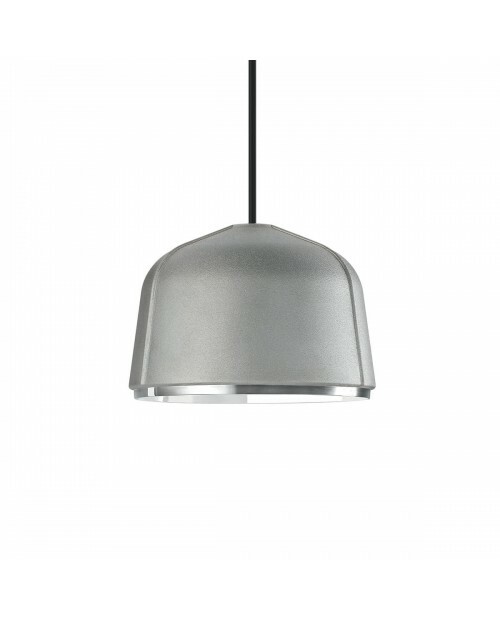 The shade is cable suspended and is available in anthracite grey (darker) and aluminium (lighter). 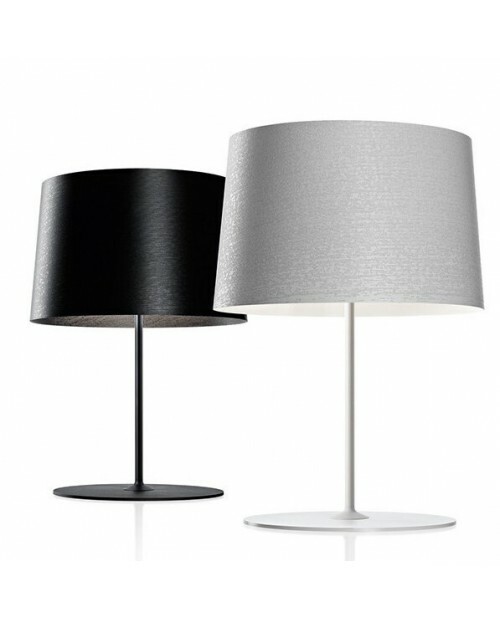 Colour: Anthracite Grey or Aluminiu..
Foscarini Buds 1 Table Lamp The Buds 1 Table Lamp is part of a collection of lamps designed by Rodolfo Dordoni. Its mouth blown glass diffuser emits a warm glow and direct light is cast from the opening on the top of the shade. 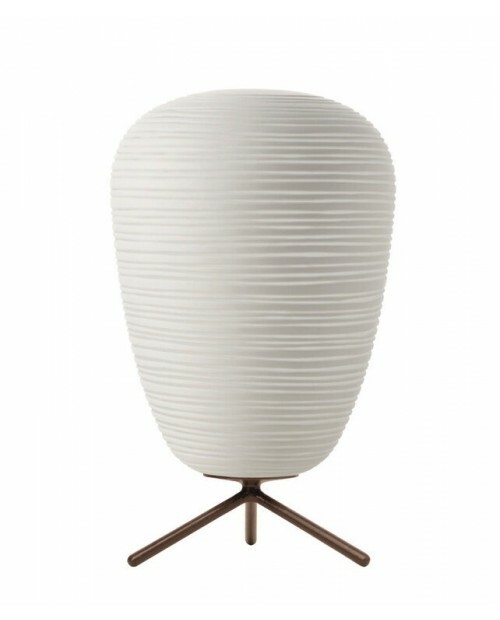 Its soft, round shape is emphasised..
Foscarini Lumiere Grande Table Lamp The unmistakable aluminium tripod of the Lumiere Lamp is complimented by its blown glass shade. Having recently celebrated its 25th birthday, it is considered a design classic. 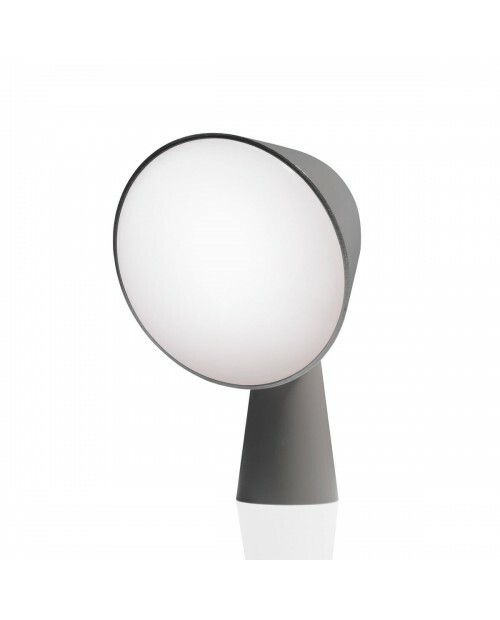 Within the series, the Lumiere lamp is available i..
Nemo Projecteur 365 Floor Lamp The Projecteur of Le Corbusier was designed in 1954, for the Chandigarh High Court, India. 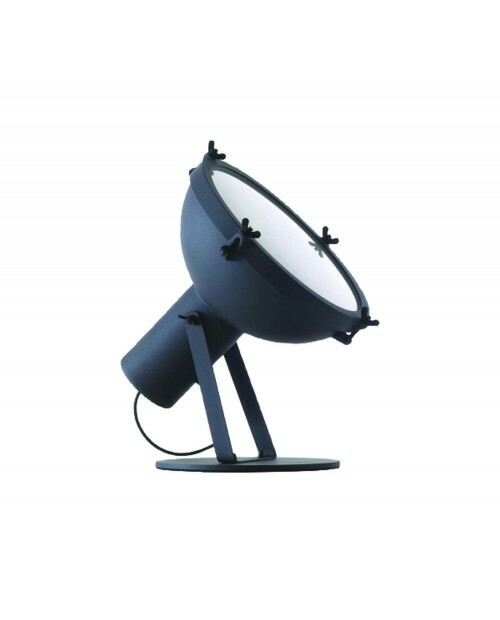 The Nemo Projecteur 365 Floor Lamp has an aluminium body painted in night blue, white sand or moka. The diffuser is glass curved with the the..
Nemo Projecteur 365 Pendant Lamp The Projecteur of Le Corbusier was designed in 1954, for the Chandigarh High Court, India. 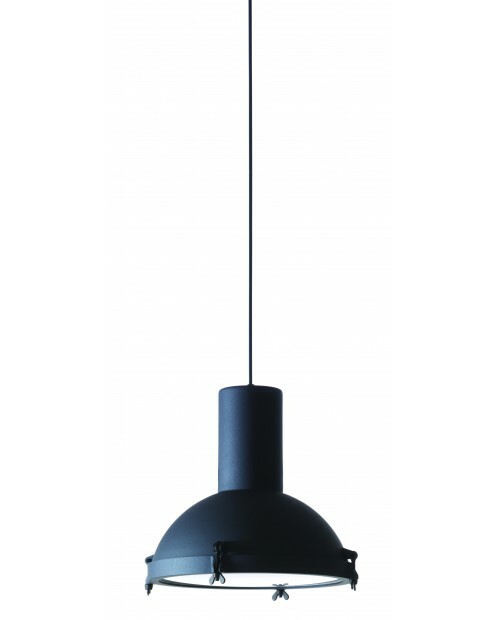 The Nemo Projecteur 365 Pendant Lamp has an aluminium body painted in night blue, white sand or moka. The diffuser is glass curved with..
Foscarini Behive Pendant LampConsisting of multiple concentric sections, the Behive Lamp emits a soft, warm light through its polycarbonate shade. Its sculptural form creates a focal point whether illuminated or not. 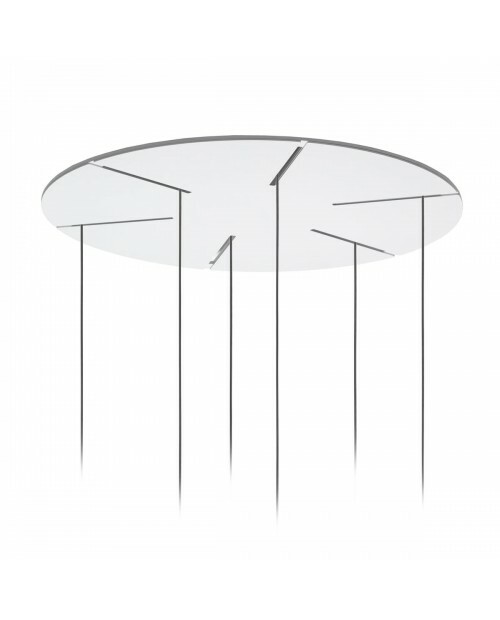 The Behive is available in both a table and pendant l..
Foscarini Round Multiple CanopyThe multiple ceiling canopy makes it possible to create compositions of up to 9 suspension lamps to create cascades of light in a highly emotive fashion. 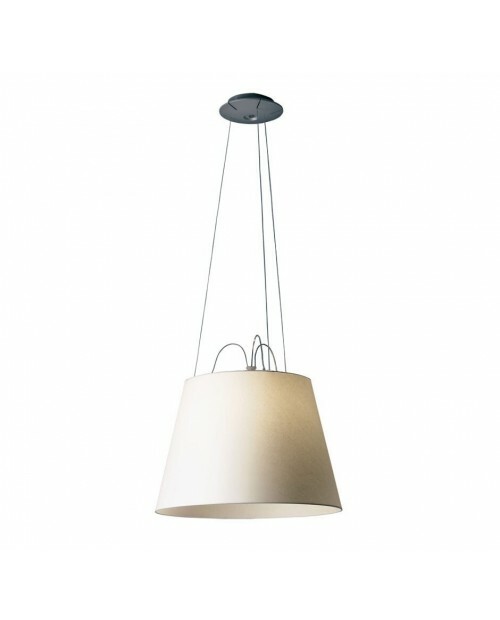 The multiple canopy is designed to suit a large number of suspension lights from the ..
Artemide Tolomeo Mega Parete Wall Lamp A true design classic by Artemide. 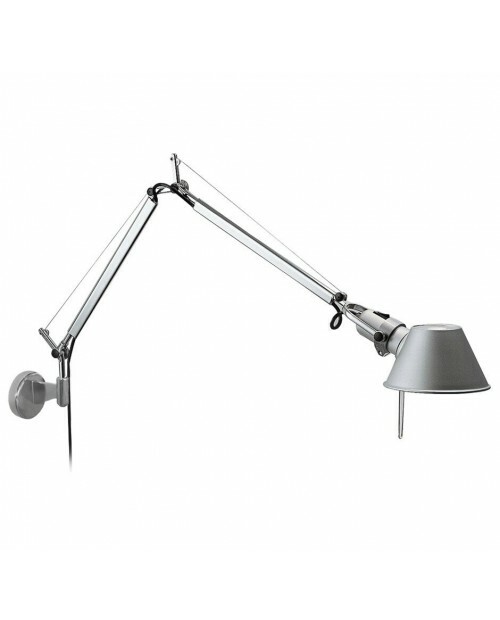 The Tolomeo Mega Parete has a cantilever body making it fully adjustable allowing it to be used in a range of situations. 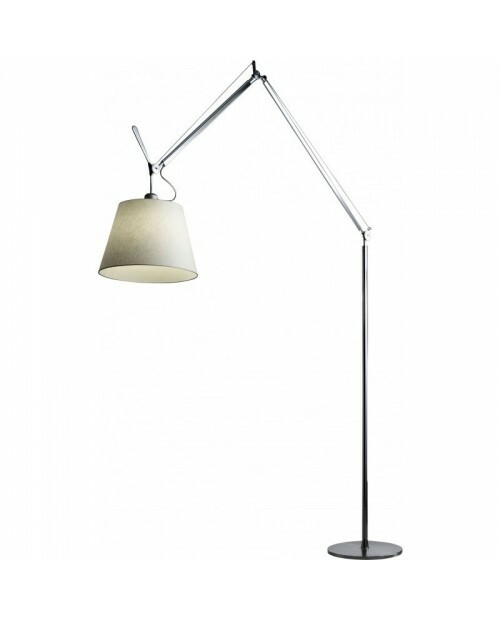 This model comes with either a parchment paper or grey satin, 32cm, 36..
Artemide Tolomeo Mega Suspenision Lamp This is the suspension lamp from tolomeo mega range by Artemide. 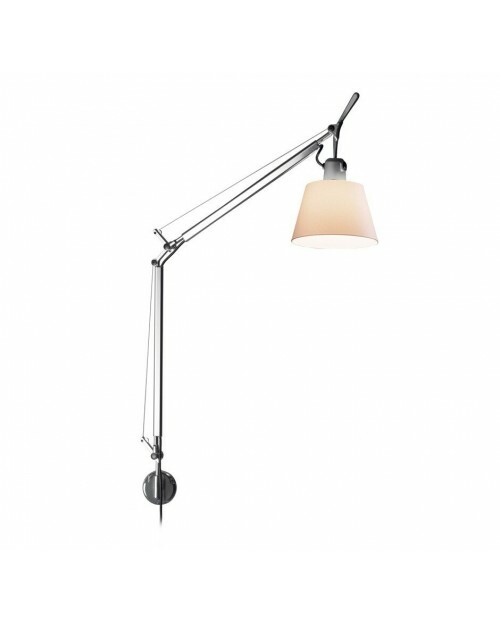 The Artemide Tolomeo Mega suspenision lamp shade is available in parchment paper, grey satin or black satin. 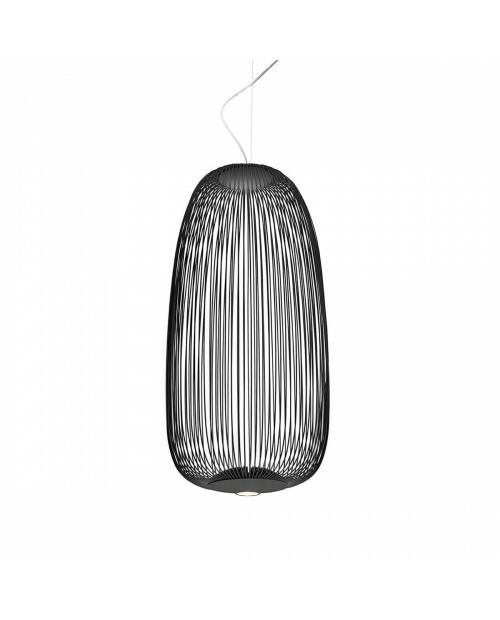 The shade come in a 42cm or 52cm diameter..
Foscarini Arumi Pendant LampWhilst compact in size, the Arumi Lamp is beautifully detailed with its hand brushed textured aluminium shade and polished rim. Its rough finish and shape are inspired by industrial lights and it is fitted with modern LED lighting technology ..
Foscarini Lumiere 25th Anniversary Table LampThe unmistakable aluminium tripod of the Lumiere Lamp is complimented by its blown glass shade. Having recently celebrated its 25th birthday, it is considered a design classic. Within the series, the Lumiere lamp is available..
Foscarini Tress Floor Lamp The unique construction of the Tress Lamp consists of a web of threads and resin. 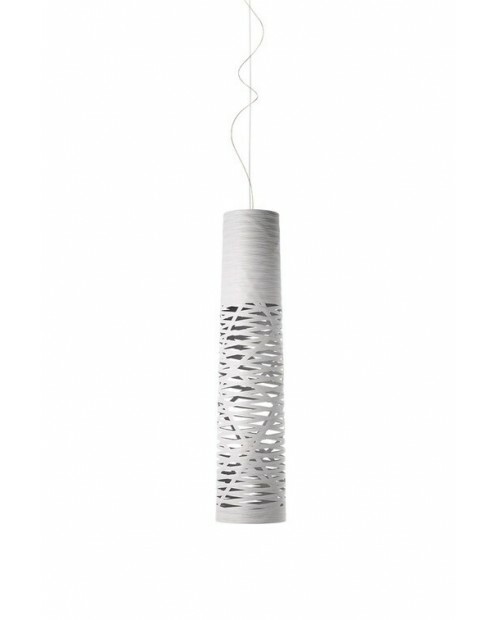 Cable is woven within the lamp and the overall effect is a striking. The light emitted creates patterns on the walls and ceilings, making the ..
Foscarini Magneto Floor Lamp The Magneto consists of a spherical magnet which holds a support rod with a round base and a compact LED light source. The magnet provides the utmost versatility with the ability to angle and move the light source along the stem. 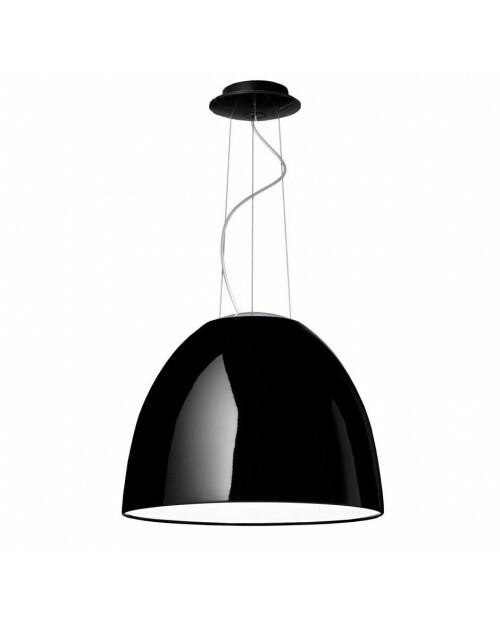 Colou..
Artemide Nur Gloss Suspension Lamp The Nur Gloss Suspension Light is composed of a painted aluminium body in polished white or polished black finishes. All versions are encased in a diffuser at the bottom. 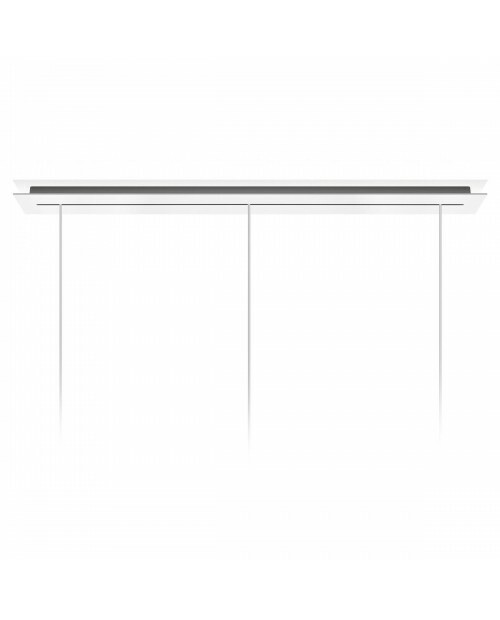 Dimensions: Nur Gloss - Height of shade 430mm. 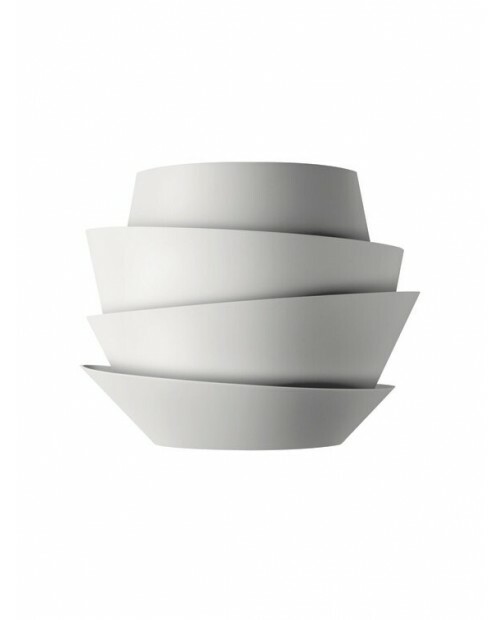 Shade Diame..
Foscarini Le Soleil Wall Lamp The Le Soleil Pendant Lamp is made from layers of polycarbonate. Diffuse light is cast upwards through the shade and direct light is projected downwards. The pleasing glow of the light coupled with its architectural shape..